Beautiful 2015 Macan S with 40K miles. The Owner is from Miami and he’s trying to learn How to sell a car in Florida! This thing is very clean and has been well maintained. The car is measuring just over 110 inches between the wheels and 184.3 inches overall, the compact Macan slots below the Cayenne in both size and price. It is ready to go and can handle whatever winter will be thrown at it. This is a really entertaining mid size SUV to drive. 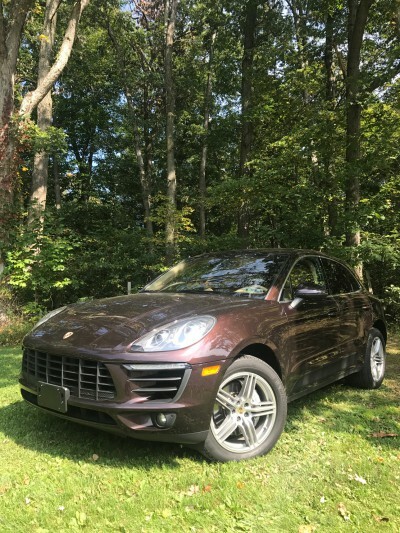 It is able to combine the rigidness of a cayenne and the speed of a 911 and in one SUV that is sure to give you a ride.It features a dark brown exterior with a tan interior. It also has navigation, Bluetooth, Bose sound system, include a remote start system for car with security. as well as several other features.